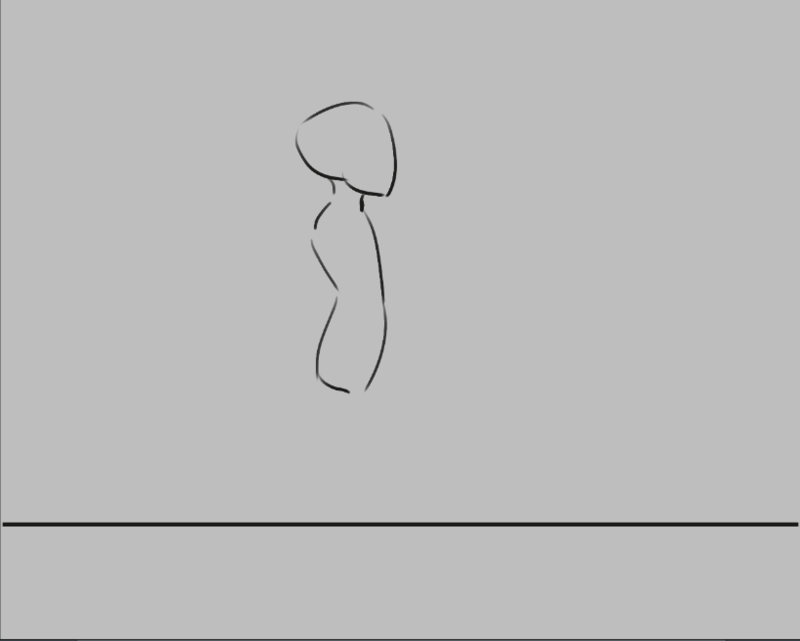 Thanks to the 2015 Kickstarter, Krita 3.0 now has animation. 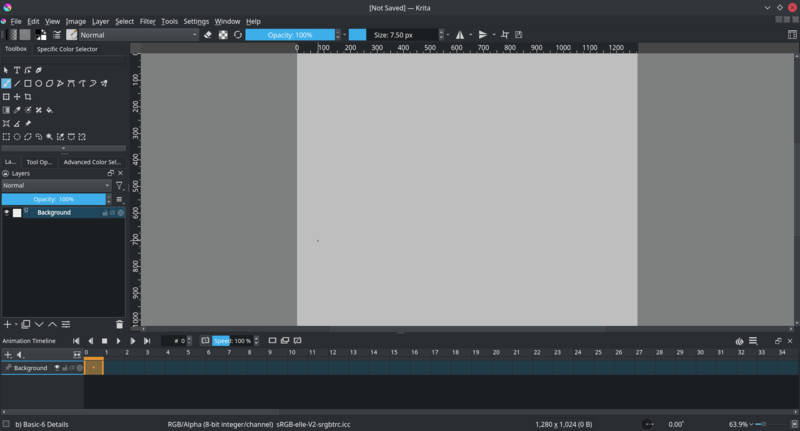 In specific, Krita has frame-by-frame raster animation. There’s still a lot of elements missing from it, like tweening, but the basic workflow is there. To access the animation features, the easiest way is to change your workspace to Animation. This will make the animation dockers and workflow appear. To create an animation curve (currently only for opacity) expand the New Frame button in the Animation dock and click Add Opacity Keyframe. 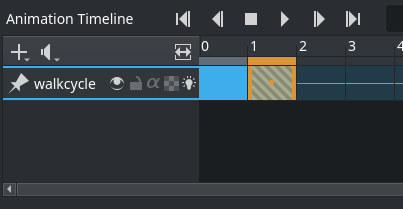 You can now edit the keyframed value for opacity directly in the “Layers” dock, adding more keyframes will by default fade from the last to the next upcoming keyframe in the timeline over the frames between them. See animation curves for details. 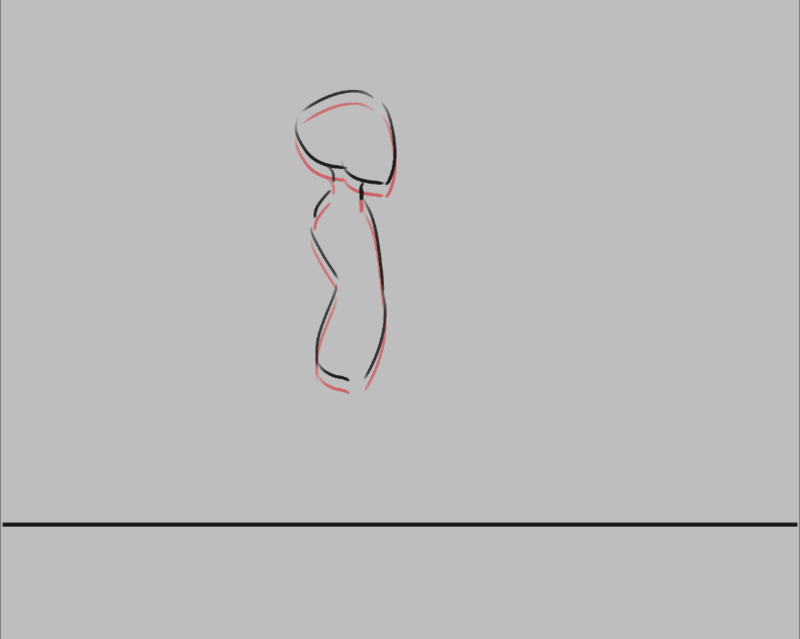 In traditional animation workflow, what you do is that you make key frames, which contain the important poses, and then draw frames in between (tweening in highly sophisticated animator’s jargon). The Timeline Docker. View and control all of the frames in your animation. The timeline docker also contains functions to manage your layers. The layer that are created in the timeline docker also appear on the normal Layer docker. The Animation Docker. This docker contains the play buttons as the ability to change the frame-rate, playback speed and useful little options like auto-key framing. The Onion Skin Docker. This docker controls the look of the onion skin, which in turn is useful for seeing the previous frame. The best way to get to understand all these different parts is to actually use them. 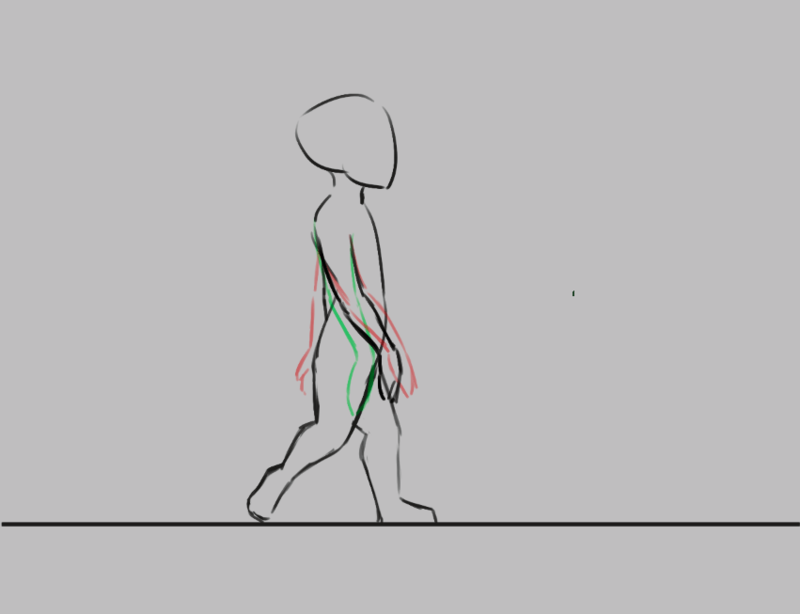 Walk cycles are considered the most basic form of a full animation, because of all the different parts involved with them. 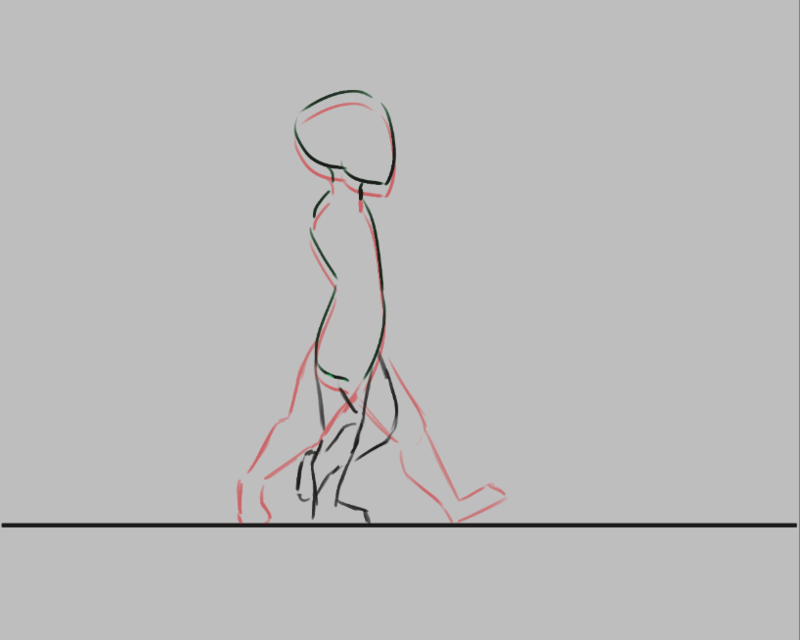 Therefore, going over how one makes a walkcycle should serve as a good introduction. On the first tab, we type in a nice ratio like 1280x1024, set the dpi to 72 (we’re making this for screens after all) and title the document ‘walkcycle’. In the second tab, we choose a nice background color, and set the background to canvas-color. This means that Krita will automatically fill in any transparent bits with the background color. You can change this in Image ‣ Image Properties. This seems to be most useful to people doing animation, as the layer you do animation on MUST be semi-transparent to get onion skinning working. Krita has a bunch of functionality for meta-data, starting at the Create Document screen. The title will be automatically used as a suggestion for saving and the description can be used by databases, or for you to leave comments behind. Not many people use it individually, but it can be useful for working in larger groups. And select the animation workspace. 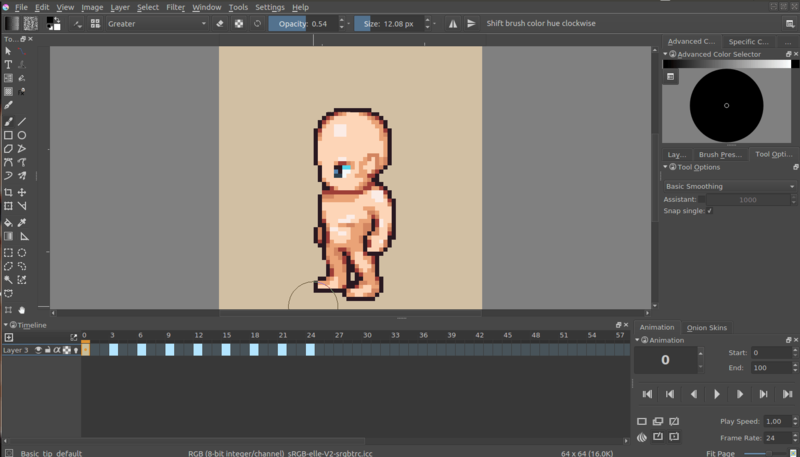 The animation workspace adds the timeline, animation and onion skin dockers at the bottom. We have two transparent layers set up. 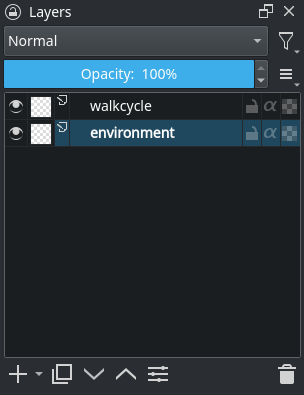 Let’s name the bottom one ‘environment’ and the top ‘walkcycle’ by double clicking their names in the layer docker. Use the straight line tool to draw a single horizontal line. This is the ground. 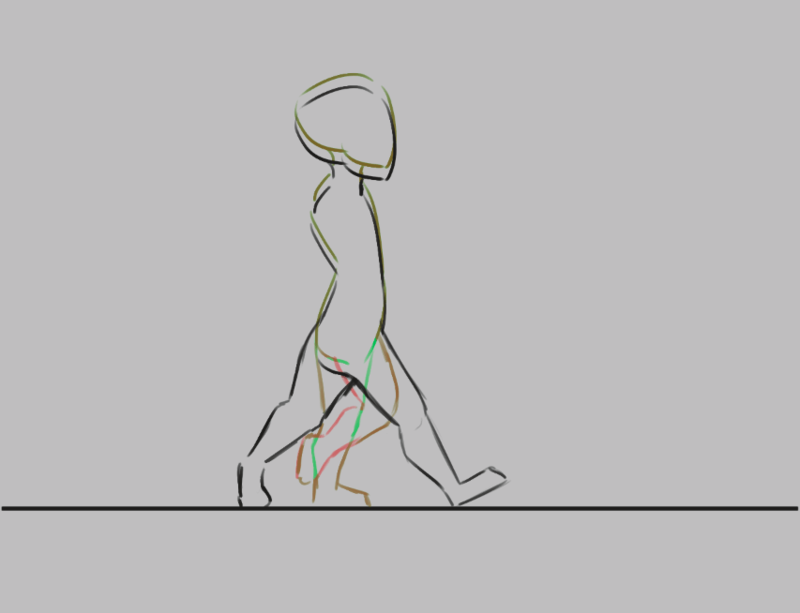 Then, select the ‘walkcycle’ layer and draw a head and torso (you can use any brush for this). 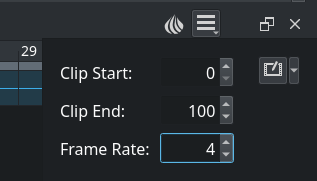 Now, selecting a new frame will not make a new frame automatically. 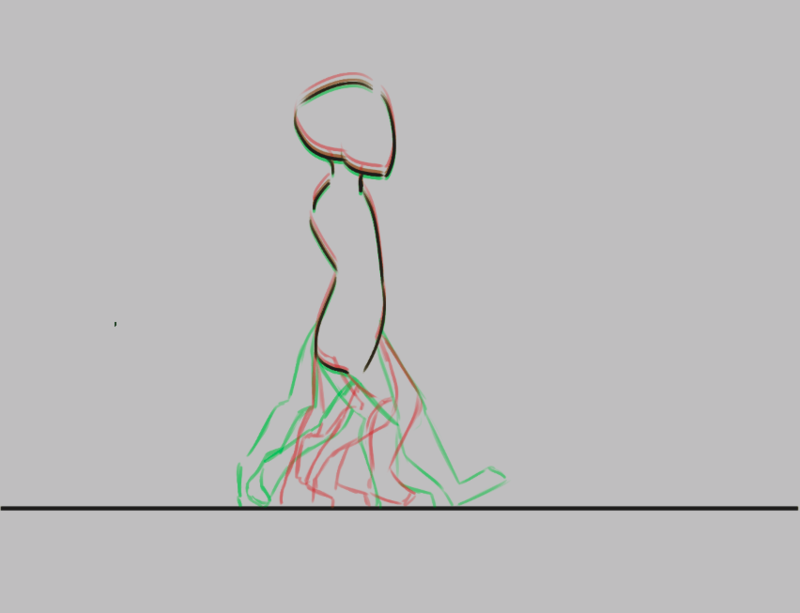 Krita doesn’t actually see the ‘walkcycle’ layer as an animated layer at all! We can make it animatable by adding a frame to the timeline. 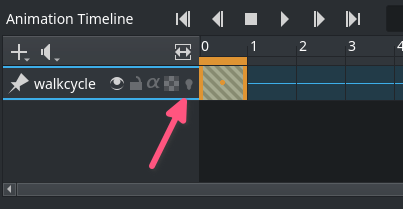 a frame in the timeline to get a context menu. Choose New Frame. You can see it has become an animated layer because of the onion skin icon showing up in the timeline docker. Use the Copy Frame button to copy the first frame onto the second. Then, use the with Shift + ↑ to move the frame contents up. Now, you should see the previous frame as red. Krita sees white as a color, not as transparent, so make sure the animation layer you are working on is transparent in the bits where there’s no drawing. You can fix the situation by use the Color to Alpha filter, but prevention is best. Future frames are drawn in green, and both colors can be configured in the onion skin docker. 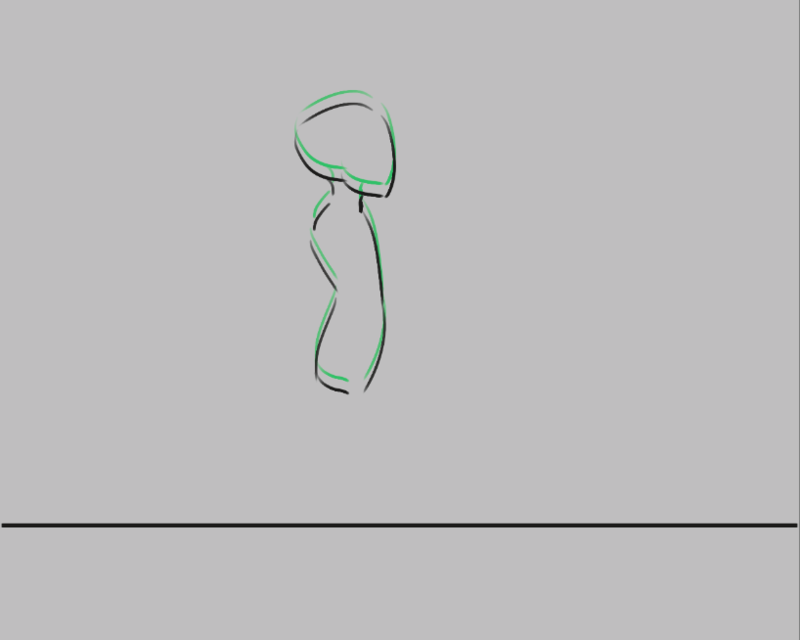 Now, we’re gonna draw the two extremes of the walkcycle. These are the pose where both legs are as far apart as possible, and the pose where one leg is full stretched and the other pulled in, ready to take the next step. Ctrl + to select all the frames you want to select. Ctrl + drag. You need to make sure the first frame is ‘orange’, otherwise it won’t be copied along. Copy frame 0 to frame 2. Copy frame 1 to frame 3. In the animation docker, set the frame-rate to 4. Select all frames in the timeline docker by dragging-selecting them. Press play in the animation docker. You can quickly make some space by Alt+dragging any frame. This’ll move that frame and all others after it in one go. Then draw inbetweens on each frame that you add. You’ll find that the more frames you add, the more difficult it becomes to keep track of the onion skins. 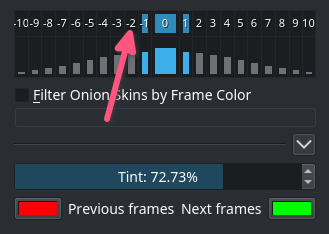 You can modify the onion skin by using the onion skin docker, where you can change how many frames are visible at once, by toggling them on the top row. The bottom row is for controlling transparency, while below there you can modify the colors and extremity of the coloring. Our walkcycle is gone from the timeline docker! This is a feature actually. A full animation can have so many little parts that an animator might want to remove the layers they’re not working on from the timeline docker. So you manually have to add them. You can show any given layer in the timeline by doing on the layer in the layer docker, and toggling Show in Timeline. When you are done, select File ‣ Render Animation. It’s recommended to save out your file as a png, and preferably in its own folder. Krita can currently only export png sequences. When pressing done, you can see the status of the export in the status bar below. The images should be saved out as filenameXXX.png, giving their frame number. 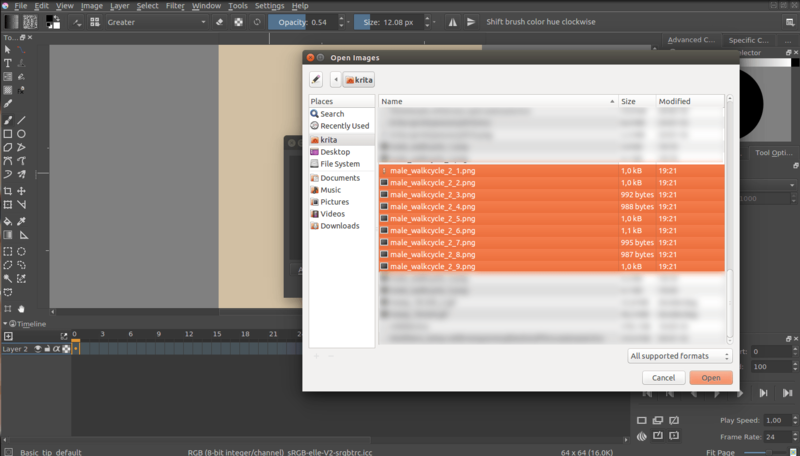 For example, you can use VirtualDub(Windows) and open all the frames and then go to File ‣ Export ‣ GIF. Krita 3.1 has a render animation feature. If you’re using the 3.1 beta, check out the Render Animation page for more information! You can import animation frames in Krita 3.0. And we’ll use Image ‣ Split Image to split up the sprite sheet. The slices are even, so for a sprite sheet of 9 sprites, use 8 vertical slices and 0 horizontal slices. Give it a proper name and save it as png. Then, make a new canvas, and select File ‣ Import Animation Frames. This will give you a little window. Select Add images. This should get you a file browser where you can select your images. You can select multiple images at once. The frames are currently automatically ordered. You can set the ordering with the top-left two drop-down boxes. Indicates at which point the animation should be imported. 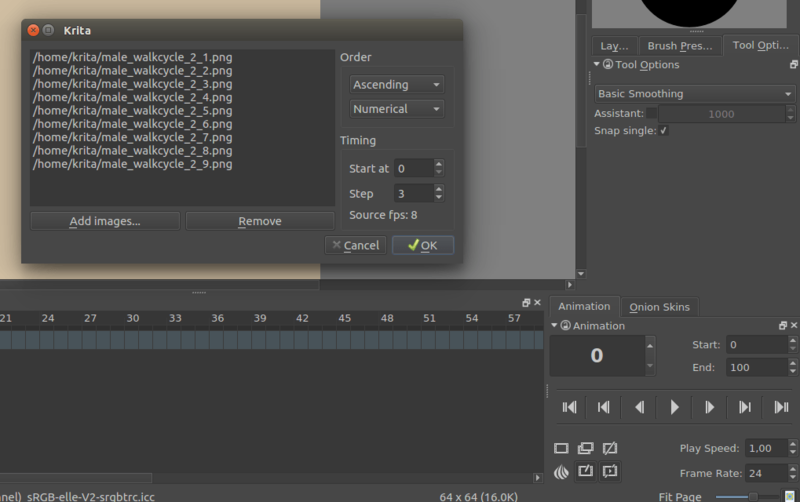 Indicates the difference between the imported animation and the document frame rate. 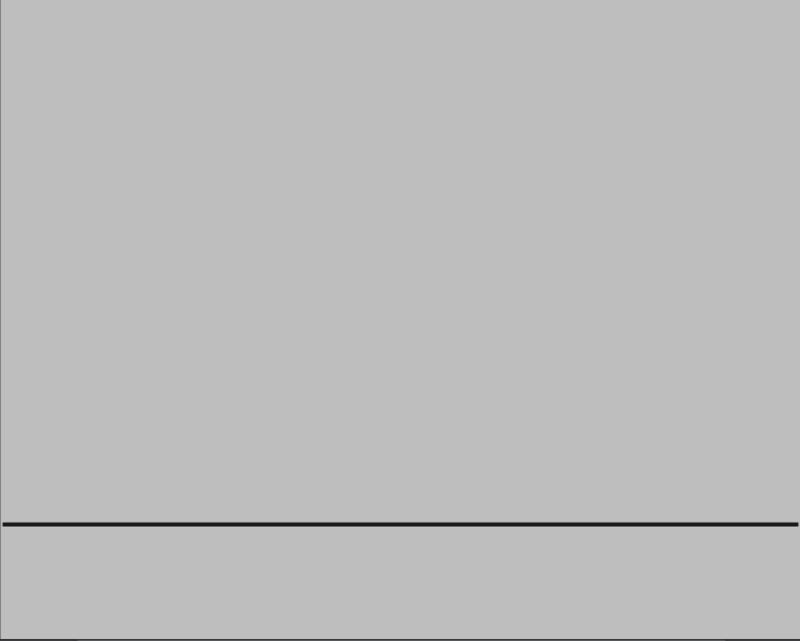 This animation is 8 frames big, and the fps of the document is 24 frames, so there should be a step of 3 to keep it even. As you can see, the window gives feedback on how much fps the imported animation would be with the currently given step. Press OK, and your animation should be imported as a new layer.